In July 2016 Sal's Shoes were getting ready to find their new feet amongst young refugees at the Filippiada Refugee Camp in Greece - where a 'shop' has been created inside a warehouse so that children receiving a pair of Sal's Shoes will still be able to experience the excitement of shoe 'shopping' even though their shoes won't be paid for. In September Sal's Shoes found new feet amongst young refugees at Doliana Camp in Greece thanks to http://www.refugeesupport.eu. The camp in Doliana is close to the Albanian border in the very northwest of Greece. It is very isolated and miles away from any shops or services. There is a small population of around 70 Syrian refugees, half of whom are under the age of 16. All the refugees are living in the old boarding house of a redundant music college. http://oxfam.org.uk provide transport for residents from 10+ refugee camps [where half the residents are children] to get into town each week and the CalAid shop is open Monday, Wednesday and Friday from 1pm for residents to 'buy' clothes, shoes and hygiene products with points they are given each month. These children have fled their homes with little or no possessions. This little girl spent half a day choosing a pair that were just right, refusing to settle for anything less than what she was looking for. Sochel one of the Calaid volunteers told us it was 'so rewarding to be able to give her that'. 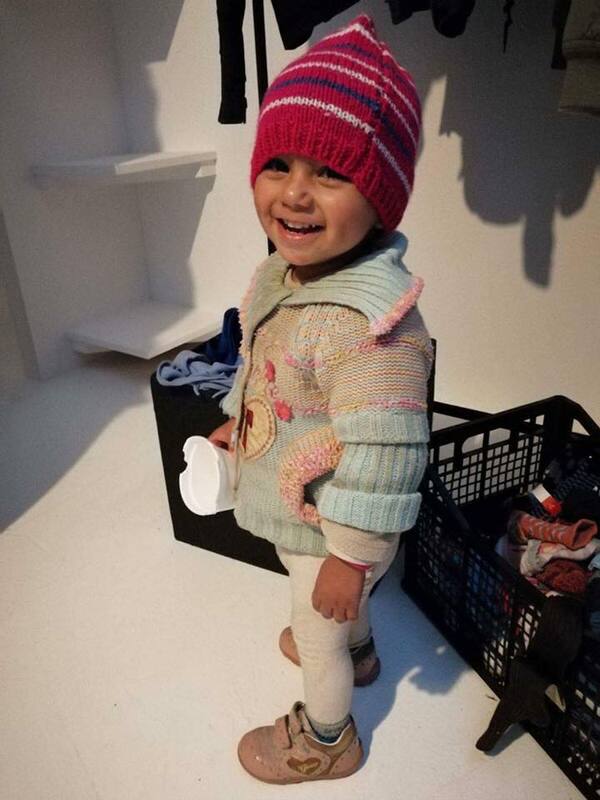 Finding new feet amongst new arrivals at Katsikas Refugee Camp in Greece with http://www.refugeesupport.eu - sixty arrivals in January 2018 were all fed, clothed and provided with shoes at the 'shopping' arcade which allows them to retain the dignity of choosing their 'purchases' without paying for them.